From July 2018, all customers in the EMEA region will be billed by Deputy EMEA Limited. What does this mean for UK customers? From July 2018, customers in the UK will be invoiced from Deputy EMEA Ltd. rather than Deputec Pty Ltd. As art of this change, a 20% VAT charge will now apply to Deputy pricing, meaning that all plans will increase by 20%. Certain businesses can reclaim the VAT paid on goods and services purchased for use in their business (via UK HM Revenue & Customs). 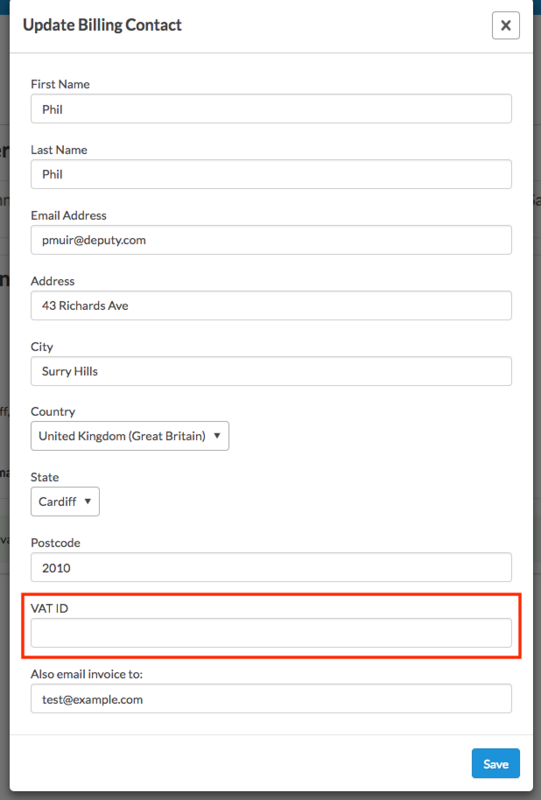 To do this, you will need to provide your VAT ID. What does this mean for customers in Europe? From July 2018, customers in the European Union will be invoiced from Deputy EMEA Ltd. rather than Deputec Pty Ltd. For this reason, businesses operating out of the EU will need to provide a VAT ID to avoid incurring an additional 20% VAT charge, to comply with HMRC requirements. Austria, Belgium, Bulgaria, Croatia, Republic of Cyprus, Czech Republic, Denmark, Estonia, Finland, France, Germany, Greece, Hungary, Ireland, Italy, Latvia, Lithuania, Luxembourg, Malta, Netherlands, Poland, Portugal, Romania, Slovakia, Slovenia, Spain, Sweden. How do you enter your VAT ID? 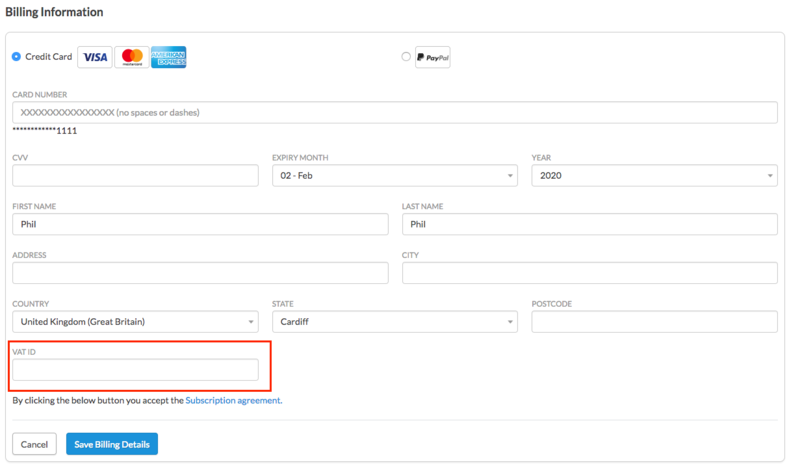 Alternatively, if you are already signed up, head to 'My Account', then head to the 'Billing' tab and click 'Update Billing Contact'. How will the new pricing look in the Pricing/plans page? The pricing/plans page will display the price excl. VAT. At the checkout, customers will be able to view the total price inclusive of VAT.